Just some of my favorites!!! When Duncan goes to use his crayons he finds notes from all the crayons and how they are feeling! Red is overwhelmed. Purple is tired of being colored outside the lines. Beige doesn't like to be called light brown or dark tan and doesn't like being in second place to Brown! Grey is tired. White is feeling empty. Black doesn't like to be an outline. Green is writing for Yellow and Orange because they won't talk, they both think they should be the color of the sun! Blue is feeling like he needs a break, Pink is feeling unused and Peach doesn't like having a cover! 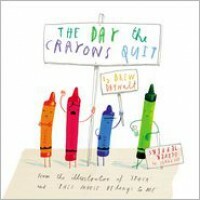 Duncan has to figure out how to make all the crayons happy so he can continue to color! I would use this book to work on expression and voice! Auggie is a home-schooled fifth grader who wants to experience more. He has a medical condition that has left his face disfigured. On his first day, the student that was supposed to help him starts to bully him. Auggie is bullied by this classmate, Julian and Julians friends, but makes a couple friends throughout the year. The school year is full of Auggie being bullied but at the end of the school year Julian (the bully) leaves for a new school and Julians friends help defend Auggie from the seventh graders. 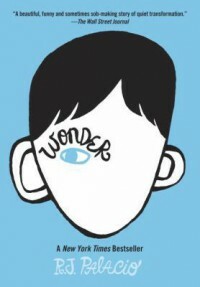 I would use this book to talk about everyones differences and how important it is to be kind to each other. Everyone can think up anything if you open your mind and try! I would use this book to talk about certain vocabulary words (ex: -ink). The students could also be given an animal/object and have to write what it looks like, sounds like, feels like and what it eats. 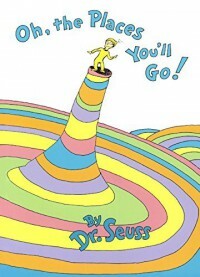 One of my all time favorite books! The protagonist leaves home and travels through many different landscapes and places. He continues to explore and think about the places he will eventually travel to! I would use this as an end of the year book with students writing where they would like to either travel to or where they would like to end up. It could also be used to work on fluency! Instead of 30 classrooms built NEXT to each other, 30 classrooms were built ON TOP of each other, but without a 19th floor!! 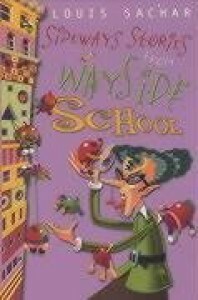 Each chapter is a different story about one of the students in the class and of the craziness that happens at the school in Mrs. Jewls class on the 30th floor! I would use this book as a continued lesson, each chapter could be used to identify different traits of the characters or sequence of events and after reading the students could write their own crazy story based on the classroom. This book is told from the point of view of the fox, who is trying to tell everyone how he became known as "big and bad". He was never trying to blow the house down! He just needed a cup of sugar for his grandmothers cake, and when the pigs said no, he sneezed because of a cold and blew their house down. This continued until the brick house, which was not blown over and the police came to the wolf yelling, sneezing and huffing at the brick house because of an insult to his grandmother! Poor grandmother never got her cake! 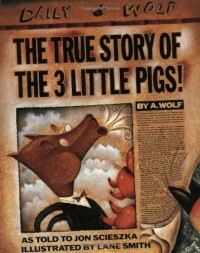 I would use this book in an activity that would explore points of view using multiple versions of the three little pig stories! 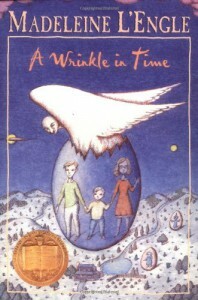 When Meg Murrays father disappears, Meg, her brother (Charles), and a friend (Calvin) travel through time and space to find him. They face many obstacles in these strange lands place by an evil that is threatening to destroy the universe called the Dark Thing. They must fight to save her father and destroy the evil! 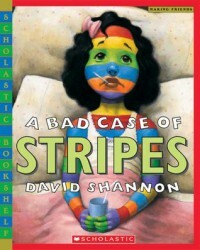 I would use this book to go over character traits and descriptions where the students could recreate certain scenes. What do you see? 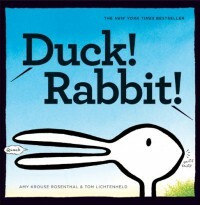 This is a cute book that follows an argument about whether a rabbit or a duck is being seen! I would use this book to talk about perspective and how you might see something but a classmate may see something else that could depend on many different things! 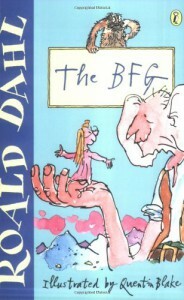 What will happen to Sophie now that she is stuck with the BFG? They will work together to stop the other giants, of course! One night the BFG snatches Sophie in the middle of the night to save her from being eaten by the other giants and takes her to his home. There, Sophie learns a lot about the BFG and how he is not like the other giants at all! They decide to create a plan to capture the other giants so that they will not eat anymore children! They even get some help from the Queen of England! 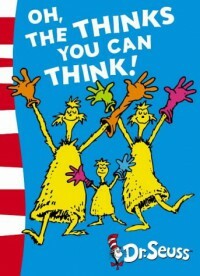 I would use this book to work on comprehension and beginning, middle and end. The students could even create their own dreams or combine dreams from the story. The students in room 207 were very misbehaved for Miss Nelson, but when she disappears, a new teacher makes them do work ALL DAY! 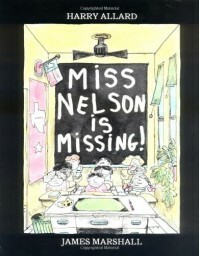 Miss Nelson is Missing!! When Miss Nelson comes back the students in room 207 never misbehaved again! I would use this book to work on expression and voice when reading! 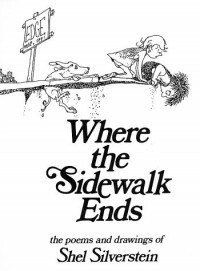 Where the Sidewalk Ends is a book full of silly poems that talk about common childhood problems! I would use this book to introduce poetry in a fun way. It can also be used for vocabulary and fluency! At the age of 12, each citizen is assigned a job. Jonas is assigned to be the Receiver of Memories, who is the sole collector of the community memories, including past memories of joy and also sadness and suffering. 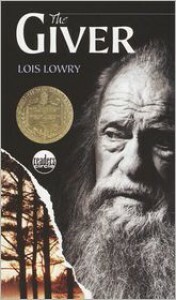 Jonas collects these memories from The Giver and in order to keep the sameness of the community, Jonas is not able to share them with anyone. Jonas wants to salvage the relationships he has built with these memories and devises a plan to escape to Elsewhere so that all the memories he has received so far will be released back into the community. The students could create their own Utopian world and incorporate vocabulary. Camilla LOVES lima beans but her friends do not and she wants to be just like them. Camilla comes down with a bad case of the stripes and is teased at school for her colors and patterns. After going through many different transformations, Camilla is convinced to eat a lima bean and is cured!! I would use this book to talk to the students about differences and how its okay to like something another person may not. They could then decorate themselves with stripes and identify what may be their "lima bean". 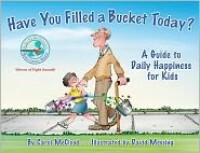 This book talks about filling buckets. Although they may not be there physically, you can still fill someones invisible bucket with kind words. I would use this books to talk about kindness and have the students decorate their own bucket so that their classmates can write kind notes or identify good things that are happening around the classroom. When Ferns father spares the runt of the liter, Fern names him Wilbur. Wilbur is sold to Ferns uncle and in his barn is where Wilbur meets a spider named Charlotte. While there are plans to slaughter Wilbur, Charlotte weaves praise of Wilbur into her webs, which gives the farmers reason to spare Wilbur. He is entered into the fair for his extraordinary abilities but does not take home a prize. Charlotte lays eggs that are kept safe by Wilbur, only the three smallest stay to keep Wilbur company and stay in the doorway where Charlotte was previously. 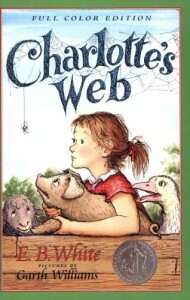 I would use this book to have the students identify character traits about themselves or classmates that Charlotte would put in her web about them! Max is causing trouble all over his house and when his mom sends him to his room without supper, he escapes to Where The Wild Things Are. He roars his terrible roar, gnashes his terrible teeth and shows his terrible claws to all the wild things and is named their king! Eventually, Max starts to miss home and decides to travel home where his warm supper is still waiting for him. 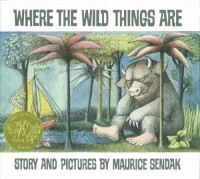 I would use this book for an activity to make text to self or text to world connections and recreating themselves as wild things!